The Journal of Microbiology, Biotechnology and Food Sciences (ISSN 1338-5178) is an Open Access, peer-reviewed online scientific journal published by the Faculty of Biotechnology and Food Sciences (Slovak University of Agriculture in Nitra) from 2011. 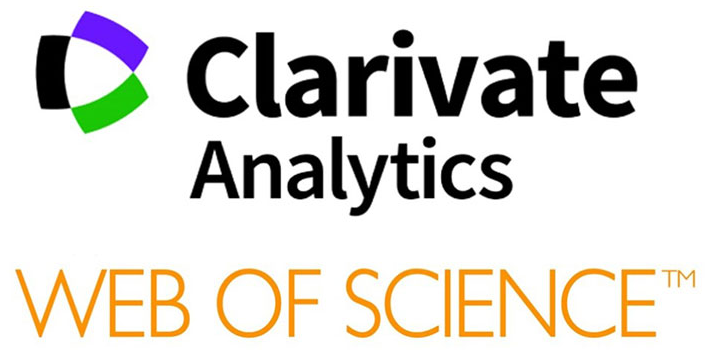 The major focus of the journal is regular publishing of original scientific articles, short communications and reviews about animal, plant and environmental microbiology (including bacteria, fungi, yeasts, algae, protozoa and viruses), microbial, animal and plant biotechnology and physiology, microbial, plant and animal genetics, molecular biology, agriculture and food chemistry and biochemistry, food control, evaluation and processing in food science and environmental sciences. 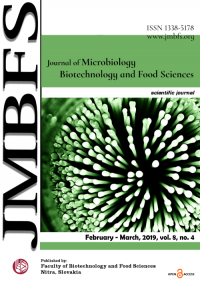 Journal of Microbiology, Biotechnology and Food Sciences is published 6 times per year in electronic version only as PDF file and preprint version as html version. We are publishing cca 120 publication per year. Why publish in Journal of Microbiology, Biotechnology and Food Sciences? The Journal of Microbiology, Biotechnology and Food Sciences is an international scientific journal with peer-reviewed articles by international experts of the particular problematic. For easier search on the World Wide Web use metadata uploaded directly in pdf files. With metadata your articles will be more visible on the World Wide Web. Authors are not required to pay handling fee. Publishing articles in the Journal of Microbiology, Biotechnology and Food Sciences is free. The Journal welcomes the submission of manuscripts that meet the general criteria of significance and scientific excellence. Papers can be published approximately 2 months after acceptance. A Short Communication is suitable for recording the results of complete small investigations or, for giving details of new models or hypotheses, innovative methods, techniques or apparatus. The style of main sections does not need to conform to that of full-length papers. Short communications are non-limited. Submissions of reviews and perspectives covering topics of current interest are welcome and encouraged. Reviews should be concise, but are non-limited. Review manuscripts are also peer-reviewed.